There hasn't been a lot of news about Meghan Markle in the past several weeks. The Duchess was last spotted at the Hubb Community Kitchen in West London, when she paid a secret solo visit. She was delighted and energetic while cooking, discussing the book, and laughing over little things with other women there. Markle also had a mom-to-be glow all over her face, though her baby bump was still small. 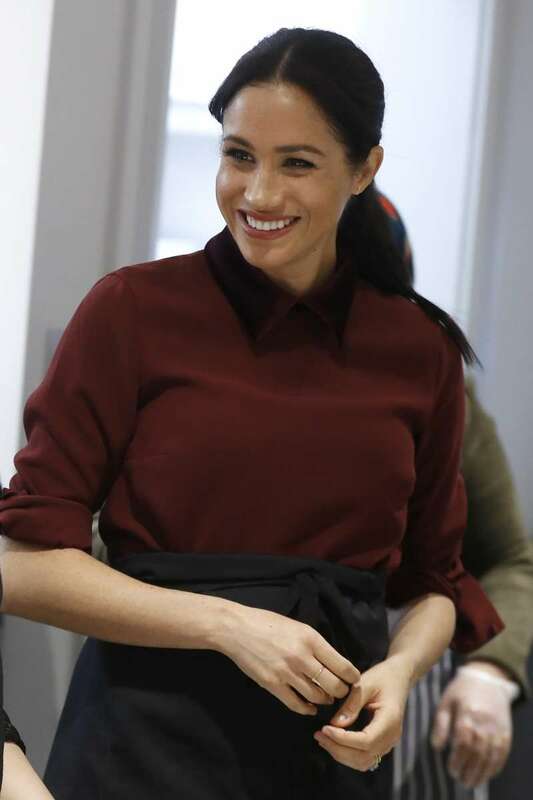 The Duchess of Sussex confessed her desire to share the big news with women at the Hubb Community Kitchen once she found out about pregnancy, but she couldn't do it due to royal rules. How's the baby bump now? While other royal members attended the Queen's Diplomatic Reception, Prince Harry and Meghan Markle were spotted leaving a charity carol concert in Chelsea for the Henry van Straubenzee Fund. Meghan's baby bump looks so big compared to the previous weeks! It seems she’s really due in March or early April, as was previously expected. The baby bump probably seems enormous due to the tight navy dress, but we still think it's just because the former Suits star is 21 weeks pregnant or a bit more. The Duke and Duchess seemed happy and thrilled to be parents down the road. And we are also super excited! Royal fans couldn't hold back their emotions and feelings, and splashed all of them over the net showing their delight and excitement. She has short waist so maybe the bb has no space! So happy for them both. Another one of Diana’s grand children. Hmmmmm. It's her 1st pregnancy (most women are late to show with #1). HRH was very trim & fit (still is). My guess is she's closer to 6 mos. Expect a late Feb/early March arrival. We do hope that Meghan seems alright nowadays, and soon the royal lovebirds will welcome a son or a daughter. READ ALSO: What Would Meghan Markle Be Doing Now If She Hadn't Met Prince Harry?